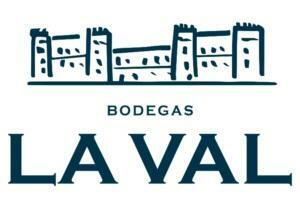 Bodegas La Val was established in 1985 and was one of the first wineries in Rias Baixas. Unusual for the area, La Val produces it's wines soley from their estate grown grapes rather than buying from local growers. They own 150 acres of Albariño most of which are located in the Condado do Tea sub-region. The vineyards are trained in the pergola system which, in this very humid and rainy climate, allows for better air flow and ripening. The particular micro-climate of their main holding in Condado do Tea allows them to be the first winery to open the harvest, which is typically in the first half of September. Jose Maria Ureta, the current winemaker, is extremely well respected in the D.O. and considered to be one of the young up-and-comers. As a winery concerned with quality first and foremost, the new vintages of their Albariños tend to release in May/June of the year following harvest. Because great Albariño grapes are very high in acid, they tend to taste very "bitter" young. Producers that do harsh filtering, fining or sell slightly sweet styles do not worry about this and rush to market early. Quality minded producers like La Val let the new wine rest a bit longer in tank so that the harshest aspects of the wines' acidity has softened.